Video game publishing powerhouse Ubisoft plans to release games suited for virtual reality in 2016. The company is currently developing "a certain number of games" that take advantage of VR, CEO Yves Guillemot told analysts on a call Tuesday. He noted Ubisoft believes in VR and wants to give gamers the chance to become more immersed in virtual worlds. 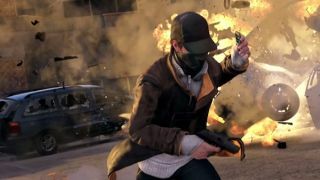 Guillemot didn't reveal what games Ubisoft is tinkering with, though the company is looking at titles already in its lineup. "We are working on the different brands we have to see how we can take advantage of those new possibilities, but making sure also we don't suffer from what comes with it, which is the difficulty to play a long time with those games," he said, likely referring to potential discomfort wearing a VR viewer for long periods of time. Though we've been waiting what feels like an eternity for the Oculus Rift consumer release as well as headsets from Sony and Valve, Ubisoft is championing for the new tech platform's place in gaming. "We are very bullish about the potential," Guillemot said. "We think it is going to bring more players to the universe of games, and we are going to come with our brands." In addition to releasing VR games next year, Ubisoft will have regular releases in the years to come. The Oculus Rift release is slated for early 2016, while Sony's Project Morpheus will launch in the first half of next year. Valve partnered with HTC to make the Vive VR viewer, though we have no release time frame for the headset. Microsoft HoloLens, an AR headset, also has no firm release window.